For the second time this season, the home of Hartpury RFC will play host to international rugby this coming Saturday (13th April). After the successful Fiji vs Uruguay test, which was played here in November as part of the autumn international series, the Gillman’s Ground will now have the honour of hosting Matchday 1 of this year’s Under-18 Six Nations tournament. 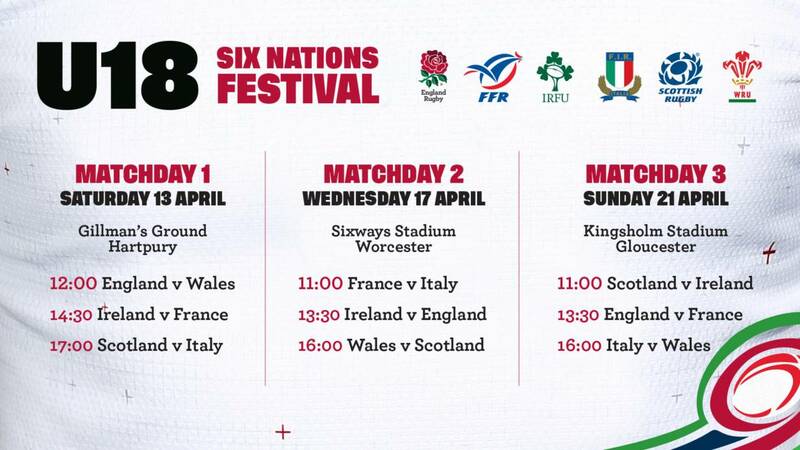 Additionally, all six country’s squads will be hosted on the campus throughout the tournament, which will also see match-days at Sixways (Worcester Warriors) and Kingsholm (Gloucester Rugby). Admission for all or any of the games is free, so please do come along and enjoy watching the stars of tomorrow. As always, there is plenty of parking available just a short walk from the stadium.